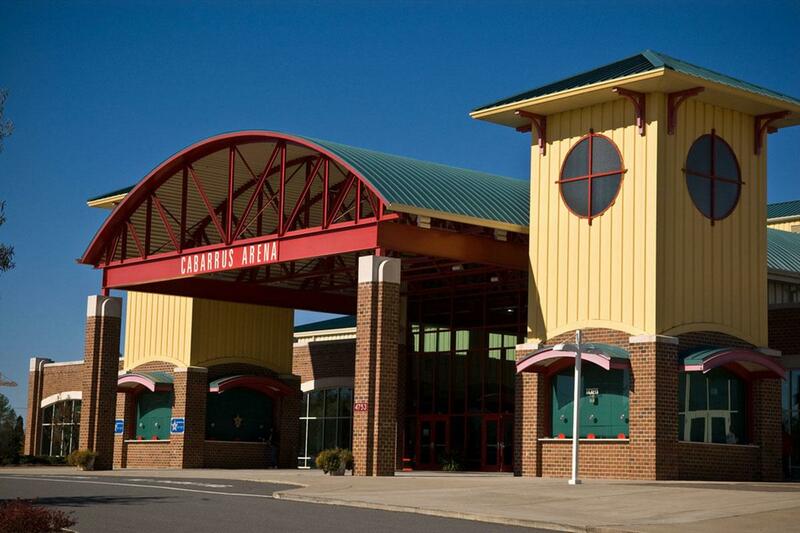 Rent Cabarrus Arena & Events Center | Corporate Events | Wedding Locations, Event Spaces and Party Venues. Small board meetings to eleborate to large corporate events with break out sessions. We will meet your needs to make the saying "business made casual" come to life. Our formal 5,000 square foot Cabarrus Rooms are perfect for your wedding, reception, or both! Remodeled in 2013 with the ability to section off parts of the room, we are able to create a perfect layout for you and your guests. This space will hold up to 200 guests with a dance floor. We have a beautiful pre-function space for your guests to enjoy Libations and Hors d'oeuvre‎. With 10,000 and 20,000 square feet separated by a lobby - these spaces are perfect to hold up to 275 and 600 guests respectively with a dance floor. These rooms a truly a blank canvas and the only limitation is your imagination. 30,000 and 40,000 square feet - this is the space when you want to party! This space will hold 900 and 1,800 guests. With no columns in the center of the room - decorators love to dress this room to your fairy tale wedding.